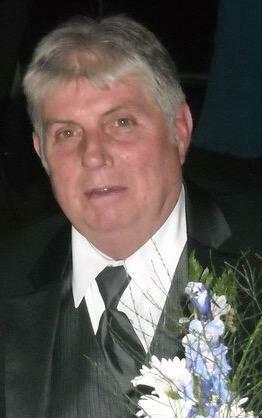 Raymond G. Millette 72 of Niagara Falls N.Y. Passed away peacefully on June 29, 2018 at home. He was the son of the late George and Fernande (Routhier) Millette. He was born in Montpelier, VT and moved to Niagara Falls at the age of 5. He attended local schools and graduated form Bishop Duffy High School in 1963. Upon graduation he enlisted the United States Air force until his honorable discharge in 1965. In 1966 Ray married the love of his life, Shirley (Bonnevie) Millette, together they spent 52 years of marriage and raised 5 wonderful children. Ray worked briefly for Great Lakes Carbon before joining Carpenter's Local 276 where he retired after 35 years of service. He was an avid outdoorsman and loved spending time at his cabin with his family in Greenwood, N.Y. He enjoyed snowmobiling, ATVing, hunting and scuba diving with the Frontier Volunteer Fire Company. Ray always enjoyed sharing time and a cold beer with his many friends. In addition to his wife Shirley, Ray is survived by his children, Allyson (Dave) Fridmann, Christopher, Eric (Chi) and Scott Millette and Melanie (Eric) Baldwin. His grandchildren, Cory(Chrissy) Walton, Kristen (Aaron) Cicali and Ashlee, Ben and Lilly Millette. Seven great grandchildren; sister-in-law, Elaine (Manny) Polizzi; brother-in-law, David (Kari) Bonnevie; many nieces, nephews and cousins and his faithful dog, Millie. A Celebration of Life will take place on Ray's birthday, Thursday, August 23, 2018, from 3-7 p.m. with closing prayers at 7:00 p.m. in the funeral chapel. Arrangements by Michael R. Goodlander of OTTO REDANZ FUNERAL HOME, 2215 Military Road, Niagara Falls, NY. Please visit www.goodlandercares.com for online condolences.